MADRAS, OR -- Jefferson County voters will decide in November whether to raise property taxes to cover a funding gap at the jail. Sheriff Jim Adkins says the bond measure would increase taxes by $.46 per $1,000 of assessed property value, taking the total levy amount for the jail to $1.70 per $1,000. Under a special agreement, Crook County sends many of its inmates to Jefferson County. "Currently, we have 105 inmates in my jail. Of those 105 inmates, 30 of them are Crook County's," says Sheriff Adkins. 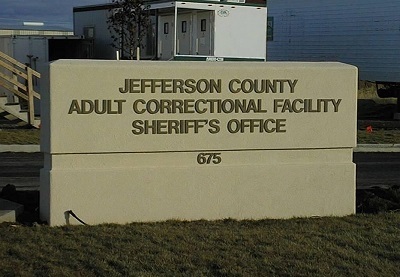 But, that contract will expire early next year, when Crook County's new jail opens, "What that means to Jefferson County is a revenue loss of about $700,000 - $750,000." Adkins says Jefferson County's current jail bond is set to expire in June of 2019, so it's nearly time for a vote anyway, "I'm able to go out to the voters and say, 'Hey, I'm losing all this revenue, so it's time for us to step up and pick up that loss of revenue'." He tells KBND News, "That levy, if approved, will last for another five years. It would generate a total of about $14.8 million over the 5 year period. All of proceeds of that $14.8 million will go to the jail operations." If the bond is rejected, Adkins plans to try again in May 2019. If voters reject it a second time, the Sheriff says there will be cuts, "46% of my personnel will have to be laid off, and that means I won't be able to house as many inmates." For more coverage of the November Election, click HERE.